This topic contains 0 replies, has 1 voice, and was last updated by TTRM 1 year, 8 months ago. Email TTRM your dog’s picture. The picture with the most “likes” wins! The prize is for a painting to be made of the winning picture. The magazine will pay the shipping costs to get the painting to the winner. Contest is open to all countries. Email your dog’s picture and then get all your friends to vote for your dog on the TTRM Facebook. JEM Illustrations creates unique and speical paintings. 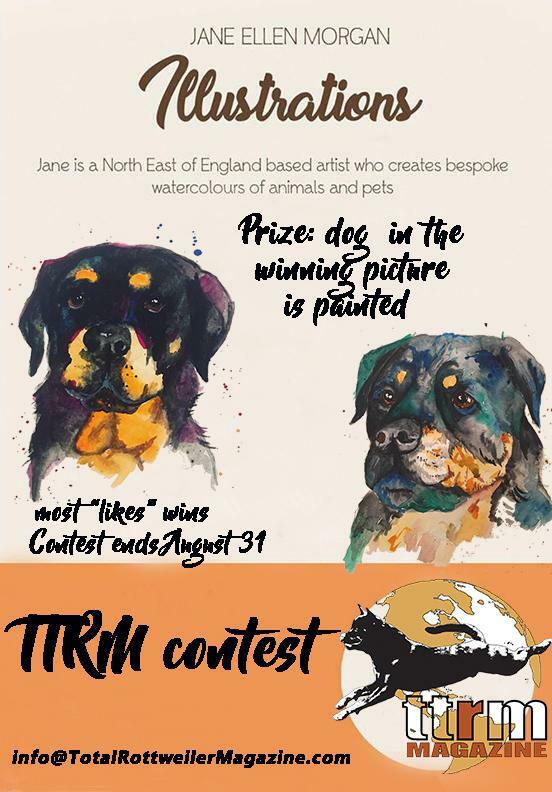 Jane Ellen Morgan is a North East of England based artist who creates bespoke watercolours of animals and pets. The Total Rottweiler Magazine © 2019 .